Bihar Urdu Teacher Recruitment 2018 Apply online for 27,000 Bihar Urdu Language Teacher in all District of Bihar. Interested Candidates should read below notification of selection process in Bihar. UPPSC APS Results 2018 is waited up to 7 year, now candidates can check UPPSC Additional Personal Secretary Result 2018 in website. APSC Forest Ranger Recruitment 2018 Apply Online For Assam Public Service Forest Ranger Jobs of 50 Posts. Interested Job seeker will have to download the Application Form from the APSC’s website www.apsc.nic.in. No Offline Application Form will be issued from the Commission’s office, Jawaharnagar, Khanapara, Guwahati-22. MP Vyapam Junior Supply Officer Recruitment 2018 Application are here to fill form of 219 JSO, Fishery Inspector & MP Vyapam LAB Assistant Recruitment 2018.MPPEB provides an opportunity of Madhya Pradesh Vyapam Group 2 Recruitment 2018 for 219 to Fresher’s who wish to pursue a career in MP Vyapam related field. Raksha Mantralaya Recruitment 2018 Application are on spot to fill Raksha Mantralaya LDC Recruitment 2018 From Eligible Candidates who have 12th pass Degree/Certificate. 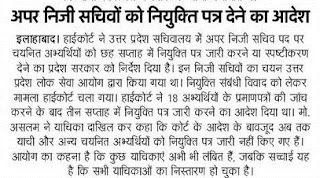 They are Eligible to fill Offline Application before Last Date. 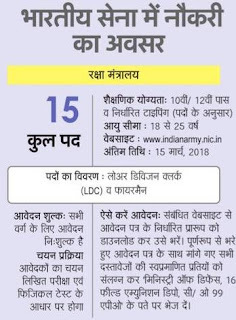 Kindly check More Knowledge on Raksha Mantralaya LDC Latest News.